You’re a manager. You send an employee to a workshop or class. Do you want the employee to be able to use what he or she learned? Do you want the training to stick? If the answer is yes, it’s up to you and the employee to make that happen. That’s because the way you make the training stick is to choose the right training and then focus on application and follow-up. The instructor who ran the class or workshop can provide ideas, but on the job application and follow-up are not the instructor’s job. They are your job – and the employee’s. The good news is that the steps you need to take are easy: three steps before the workshop or class; three steps after. Prepare the employee. Make sure the employee knows what he or she is supposed to learn and why. Though the manager often initiates this, the manager and employee can arrive at this together.It’s important to identify and discuss the why. Maybe it’s to improve a skill for the employee’s current position or to help the employee broaden what they know and can do. Or maybe it’s to help the employee prepare for the possibility of a new job. The why gives context and meaning to the development effort and that can encourage motivation to learn and to apply the skill back on the job. Some managers are reluctant to have this conversation. They want to assume the employee knows what and why. Maybe the employee does. But chances are he or she doesn’t. It’s best to find out. And easy. Confirm the content. Make sure the content is what you want the employee to learn. When a class is offered internally, it’s easy to assume the trainer knows exactly what you want the employee to learn. Don’t make that assumption. The only way the trainer will know that is if you tell him/her.The workshop title and “objectives” are in marketing language. Talk with the trainer or have the employee do that to ensure that the workshop actually addresses what you want the employee to learn. If it doesn’t, choose another workshop or class. Or choose another learning method such as on-the-job training. Willingness to provide support. Make sure you are willing to provide support before, during and after the training. Before the training, support means working with the employee to clarify what he/she needs to learn and why. During the training it means, not punishing the employee for attending the workshop or class by allowing his/her work to pile up. After the training, this means this means working with the employee to identify appropriate development assignments and then following-up regularly. More details below. Check learning. Don’t assume the employee learned what he/she was supposed to learn. Follow-up to find out. You can do this by asking a few questions about what he/she learned and how the employee would apply it to job-related situations.NOTE: You will not find out by asking questions such as: Did you enjoy the workshop? Did you learn what we talked about? Assign the employee to a task force or some other job in which he or she will have to apply the material from the class. Then provide feedback. Have the employee observe an experienced person to see how that person does what the employee just learned. Ask the employee to perform the skill he or she just learned and then provide feedback. The feedback can come from the experienced person and/or the manager. 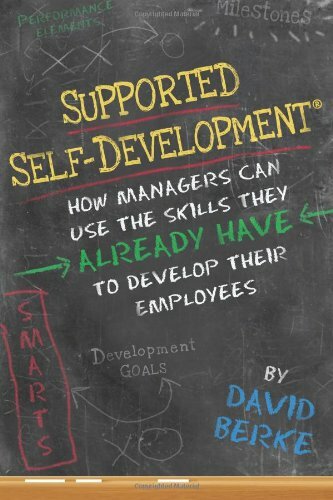 Continue to expand what the employee does as he or she gains skill and confidence.